A pitcher’s Earned Run Average (or ERA) is the average number of earned runs that a pitcher gives up per nine innings pitched (as the typical game lasts nine innings). An earned run is a run that is not scored as the result of a defensive error, such as a fielding error or a passed ball. A pitcher’s ERA is calculated by dividing the number of earned runs he has allowed by the number of innings he has pitched, then multiplying by nine. For example, if a pitcher is charged with 21 earned runs over the course of 90 innings pitched, his ERA would be 2.10. An ERA under 3.00 is generally considered to be excellent. The lower a pitcher’s ERA, the better. 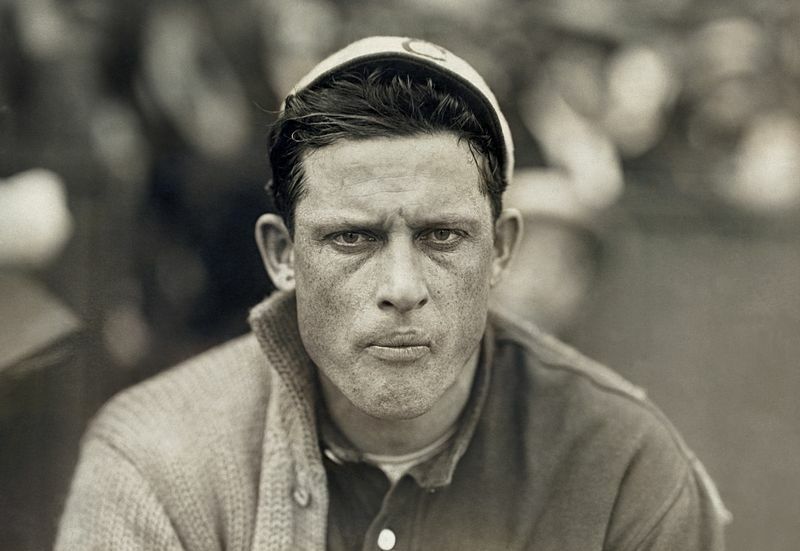 The lowest all-time career ERA in baseball history was 1.82, by Ed Walsh, who pitched from 1904 to 1917. The lowest career ERA during the live-ball era (that is, post-1920), belongs to Mariano Rivera, who pitched from 1995-2013 and posted an ERA of 2.21. Sometimes a strikeout means that the slugger’s girlfriend just ran off with the UPS driver. Sometimes a muffed ground ball means that the shortstop’s baby daughter has a pain in her head that won’t go away. And handicapping is for amateur golfers, not ballplayers. Pitchers don’t ease off on the cleanup hitter because of the lumps just discovered in his wife’s breast. Baseball is not life. It is a fiction, a metaphor. And a ballplayer is a man who agrees to uphold that metaphor as though lives were at stake. Perhaps they are. I cherish a theory I once heard propounded by G.Q. Durham that professional baseball is inherently antiwar. The most overlooked cause of war, his theory runs, is that it’s so damned interesting. It takes hard effort, skill, love and a little luck to make times of peace consistently interesting. About all it takes to make war interesting is a life. The appeal of trying to kill others without being killed yourself, according to Gale, is that it brings suspense, terror, honor, disgrace, rage, tragedy, treachery and occasionally even heroism within range of guys who, in times of peace, might lead lives of unmitigated blandness. But baseball, he says, is one activity that is able to generate suspense and excitement on a national scale, just like war. And baseball can only be played in peace. Hence G.Q.’s thesis that pro ball-players—little as some of them may want to hear it—are basically just a bunch of unusually well-coordinated guys working hard and artfully to prevent wars, by making peace more interesting. 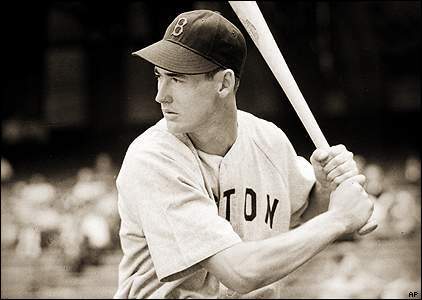 Outfielder Ted Williams of the Red Sox was overwhelmingly voted American League Most Valuable Player following the 1949 season. This occurred shortly after Williams was denied the Triple Crown, losing out to Tigers third baseman George Kell, whose batting average was .0002 better. Next up: the Orioles versions of “Talkin’ Baseball”! Enjoy! Once again, the entire collection thus far can be found by following the Talkin’ Baseball tag.